Start by gluing the end of the ribbon and laying on the wreath. 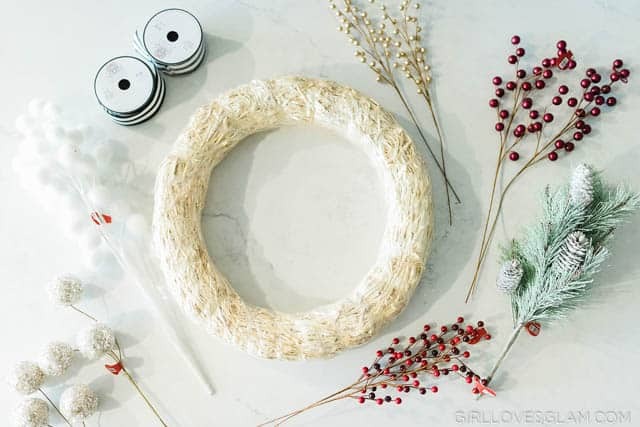 Once it has cooled down a bit, start wrapping the ribbon around the wreath. I used two spools of ribbon for this size of wreath. 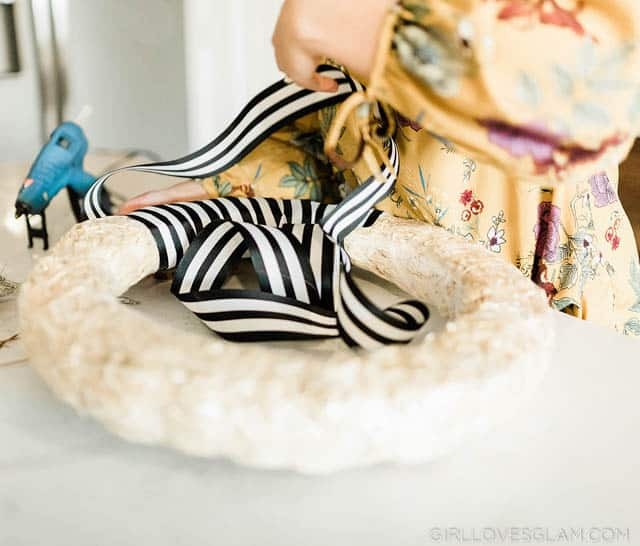 The amount of ribbon you will need will totally depend on how big of a wreath you purchase. 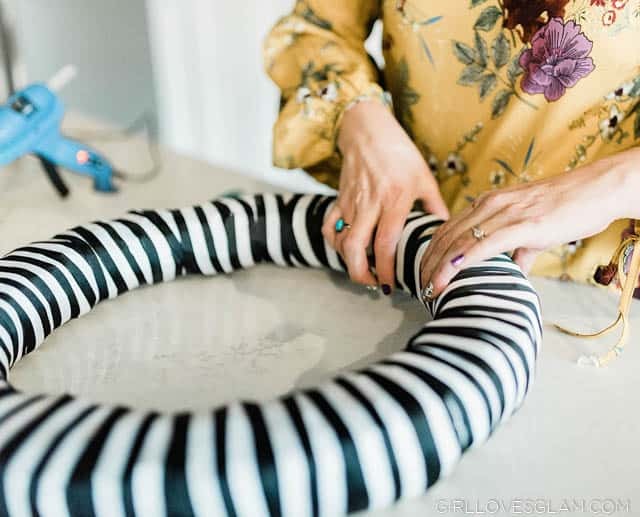 Once you have wrapped one complete spool of ribbon around the wreath, glue the edge to the wreath and repeat those steps with the next spool of striped ribbon. 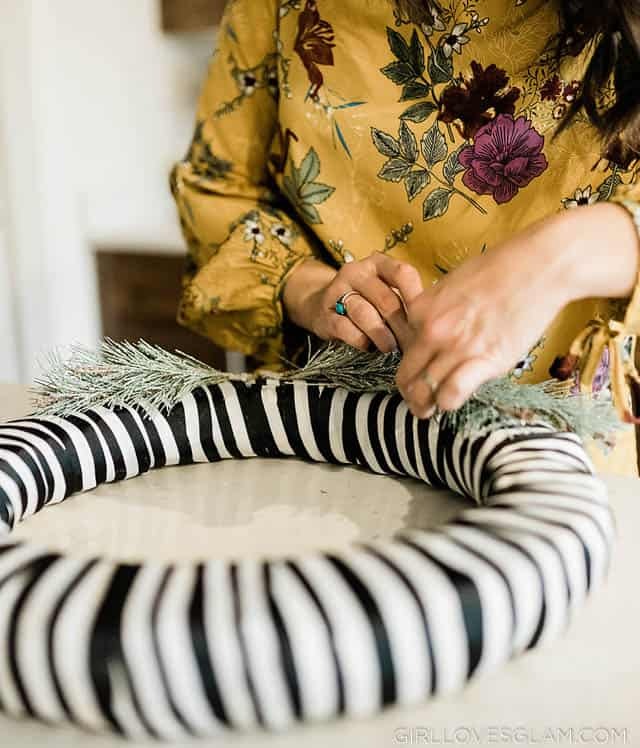 Once you are done wrapping the ribbon around the wreath, fold over the last little bit of the ribbon and glue it into place. Try to make the side that you end on be the backside of your wreath. 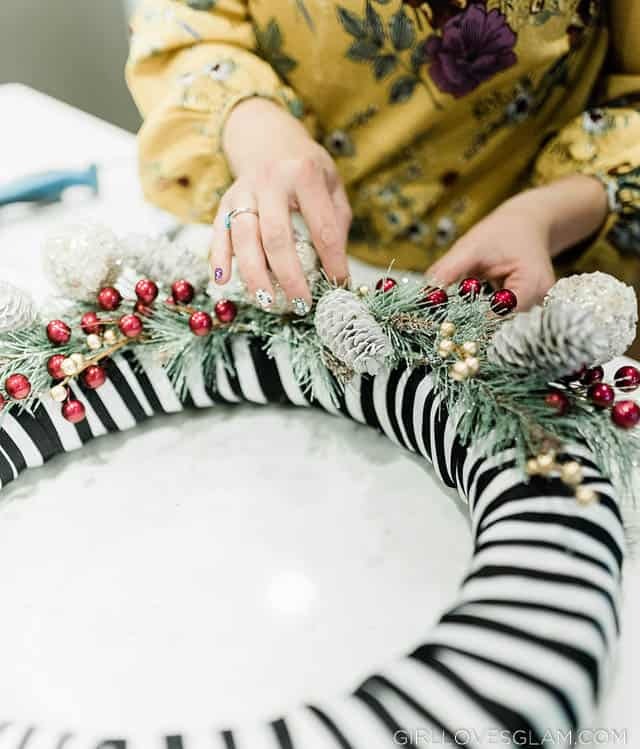 Start by adding the most full floral stems to the wreath. Don’t be afraid to really tear apart the stems. That is what they are for! I wanted to keep this wreath relatively simple and not have it overly full, so I put a sprig of the pine on mine and then layered about two more over it, as I went down the wreath a bit. Then I did the same thing on the other side as they came together. Next, I went in with the larger berries. 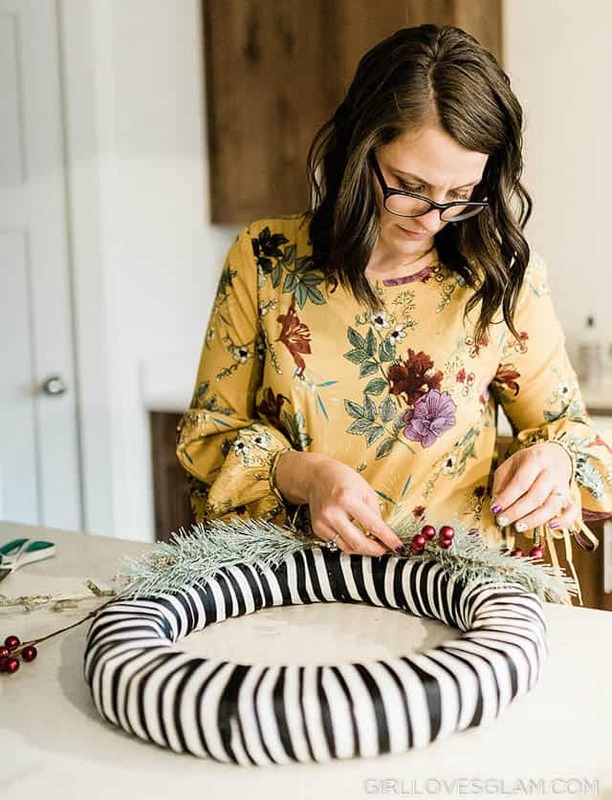 Where I wasn’t using a lot of color in this wreath, I wanted to use the berries early on so that I could make sure to evenly disperse the color throughout the wreath. After that, I added the rest of the decor. The best advice I can give you is that you don’t need everything to be symmetrical. It should look somewhat even, but not exactly the same. I just love how this all turned out! 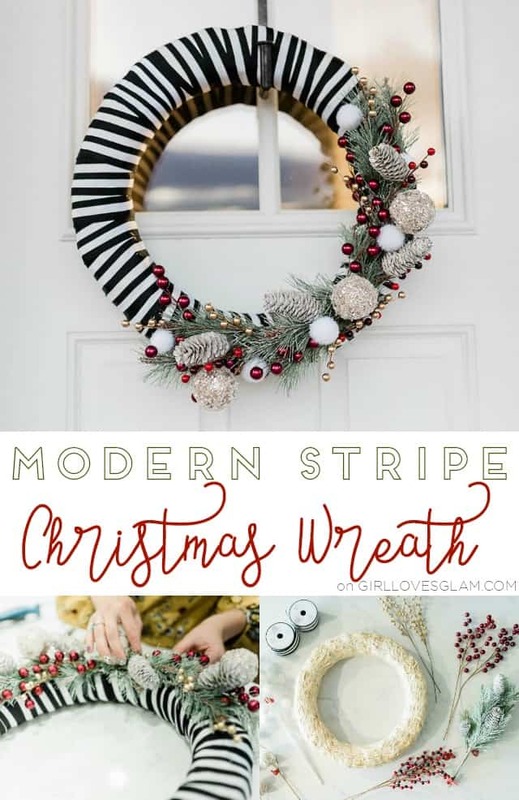 It has just the right amount of Christmas spirit, but with some sassy stripes! 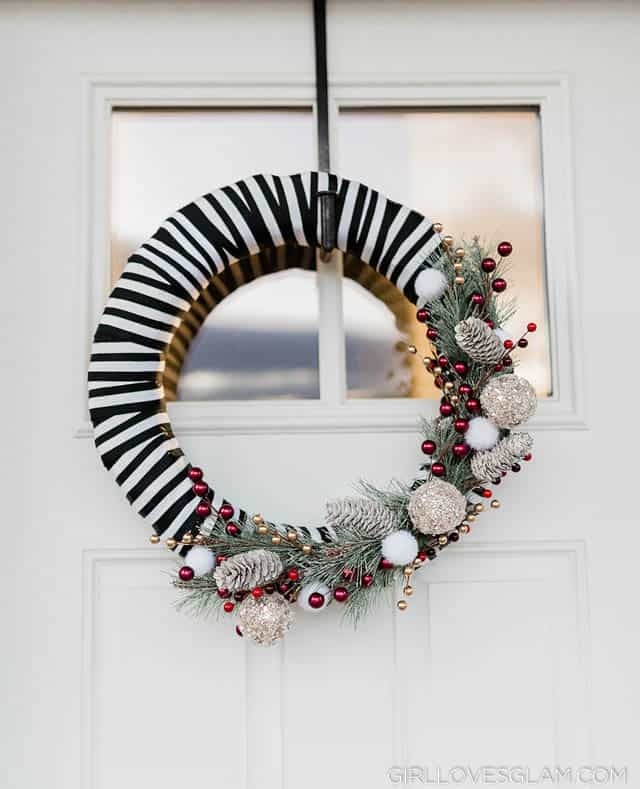 For even more Christmas decor, check out these other fun posts! 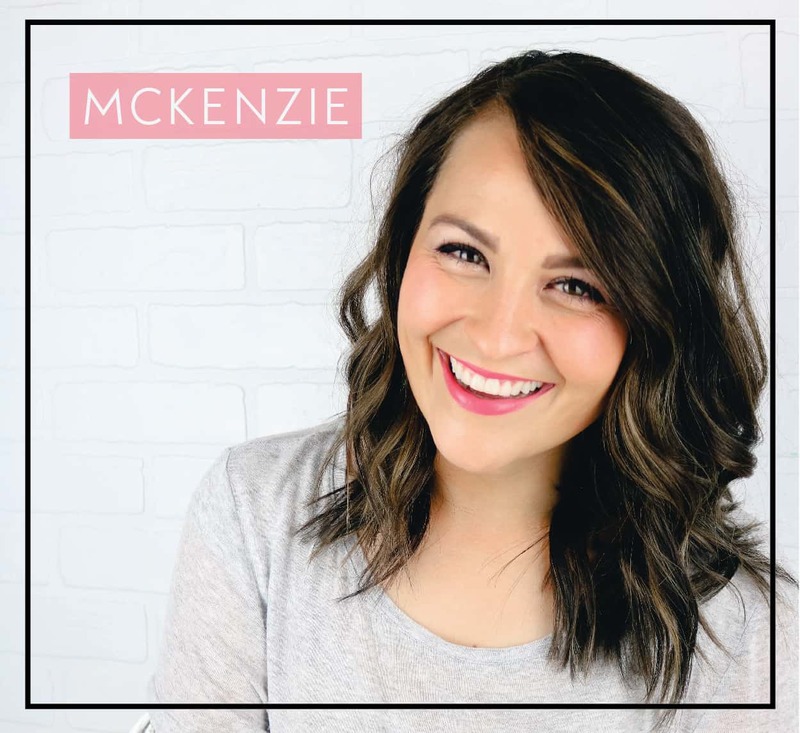 I love all of the amazing black and white Christmas decor on Crafted Sparrow and this gorgeous black and white stripe Christmas tree from Just Destiny! What is your Christmas decor style?